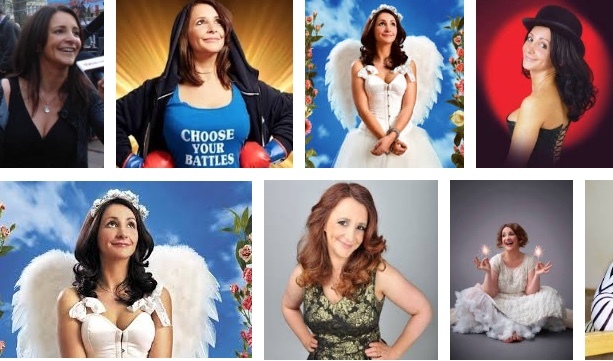 LUCY Porter’s show is called “Choose Your Battles” It is named after a parenting book she once bought. This show is very much centred on Lucy’s family life, her husband, children, mother, two cats. For many die-hard fans they will enjoy this material and will feel they are sliding into middle age with Lucy but no less funnier for that. There is a warmth to Lucy Porter’s comedy that leaves the audience with a number of images when they leave. It may be the keys to her Volvo, the frank admissions of middle-classness or the poignant image of her parents and Coronation Street. Her manner is very conversational. Initally, this is just a mum of two on stage telling you about her day (s) but that is the skill of this highly accomplished comedian and why Lucy has thrived and survived for over twenty years now. The references to catty comments by mums outside the school or confrontations with a driver are not only evocative but very well delivered. Lucy’s ruminations on the word of social media are also very interesting. Despite all this, Lucy Porter has a pretty positive look on life. As she says these are uncertain, shouty times but an hour in the company of Lucy Porter leaves you with a positive vibe. Added to that is her ability to engage the audience, pick out local references (nice touch with the Church Langley Premier Inn..). With interval, this is close to a two hour show and is great value at that. It is clear that Lucy Porter loves comedy, supports local theatre and has a great affection for her fans. You know some people are just nice and fun and nice.